As of ~9:00pm Pacific Daylight Time this evening, Curiosity will have made three revolutions around the Sun while exploring Gale crater. 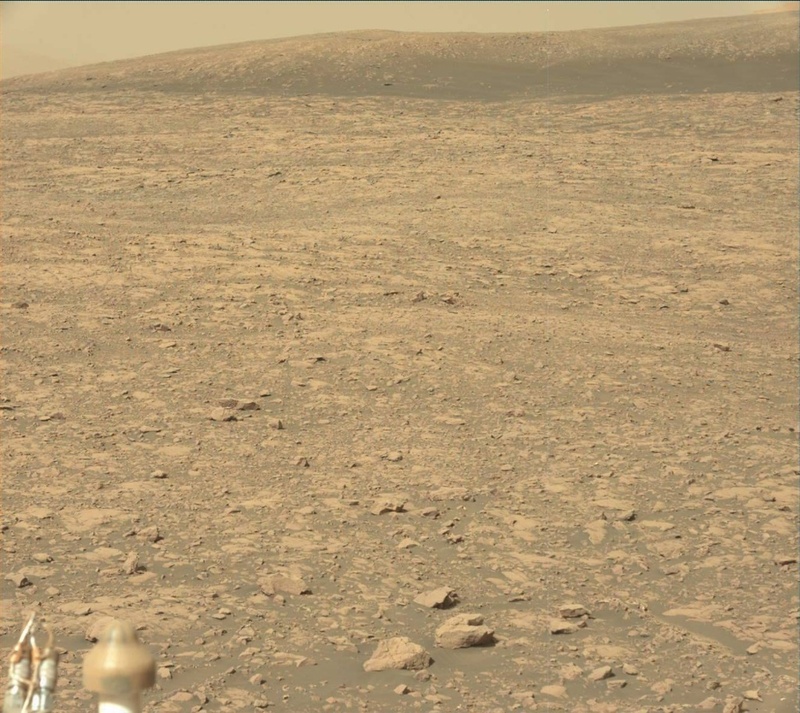 Quite a feat, considering Curiosity's primary mission was designed to last just one Mars year. Yet another reason why the engineers and rover and science planners are invaluable to our exploration of the Red Planet! Because of some power-intensive measurements that will take place later in the evening (see below), today's surface investigations will be fairly lean and will last just over one hour. Curiosity did not drive either yesterday or today, so we are still in the same location where we are hoping to identify the sources and nature of the strong iron oxide signatures observed from orbit. To start our investigation, we will be imaging the nearby surface to investigate how the observed iron oxide signatures change as a function of changes in solar illumination. This type of experiment and material behavior is known as "photometry," and spectroscopists can learn quite a bit about surface properties based on these types of measurements. We will then acquire Mastcam multispectral images of the landscape in front of the rover where we will be investigating over the subsequent week to determine how the mineral signatures vary over the landscape. After these imaging efforts, we will use the ChemCam instrument to investigate the chemistry of local rock targets in front of the rover. The first target (named "Burntisland") is a red piece of rock that was disturbed by one of Curiosity's wheels whose color suggests the presence of the iron oxides that we're looking to investigate. The second target (named "Burghead") is a more purple piece of bedrock in front of the rover that was also disturbed by a rover wheel. This measurement will help us to determine the full range of compositional variations observed throughout the workspace. After these science investigations, Curiosity will use two different instruments (Sample Analysis at Mars, or SAM, and the Alpha Particle X-Ray Spectrometer, or APXS) to measure the concentration of argon in the martian atmosphere. Argon is the third most abundant gas in the martian atmosphere, accounting for nearly 2% by volume. Previous studies have shown that the concentration of argon is able to change seasonally in the martian atmosphere, and so the SAM and APXS instruments will be monitoring its current abundance to understand if/how the concentration of argon has been variable over time. These measurements utilize a fair amount of energy, which is why the scientific observations in today's plan are relatively short. We will continue to investigate the variations in iron oxide signatures across the Vera Rubin Ridge over the next few weeks, but the activities over the past and subsequent few days are of critical importance due to the strong signatures observed from orbit. Hopefully the data that we acquire today will help us to understand the source and nature of the hematite that is present throughout the Vera Rubin Ridge!